For us in the Midwest, Northeast, and soon across the country, the weather has turned colder and summer recreational equipment, including kayaks, has been put away for the winter (check out winter storage tips here). For those who love the cold weather and outdoors, though, many will be keeping their kayaks available during the winter months for some winter kayaking. While kayaking in the winter is not for everyone, it can be quiet and peaceful as the crowds of the warmer months have gone and it’s just you, your kayak, and nature. Many also take up winter kayaking for the challenge as it’s definitely a more difficult endeavor in the winter. 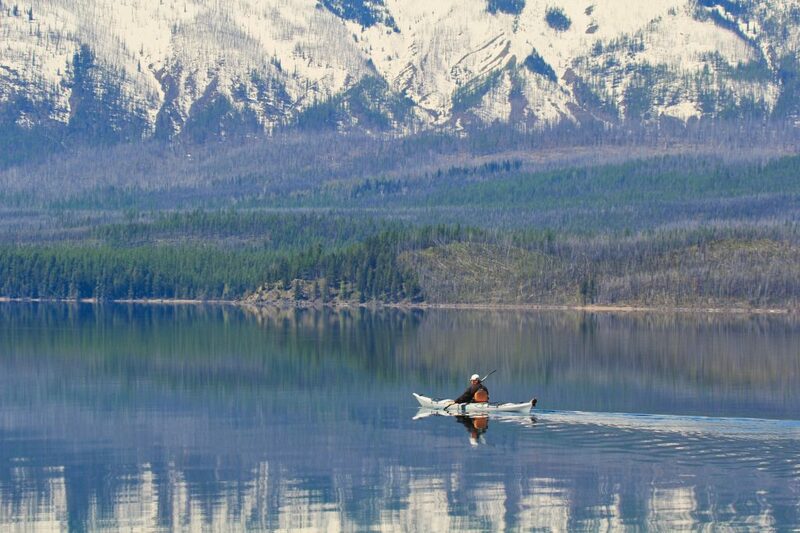 Ideally your first time in a kayak will not be in the winter. When kayaking in the winter, it’s important to feel confident and have a strong knowledge of how to kayak and how to handle various situations while kayaking. It’s cold out and so is the water. During the winter months it’s best to wear a wetsuit or a dry suit under your clothing in case the kayak tips and you end up in the water. Outerwear should be waterproof and insulated enough to keep you warm. And, of course, wear your lifejacket. Bring extra clothing and supplies. In case you do end up in the water or just getting wet by getting splashed or rained on, it’s a good idea to have extra supplies so you can change into warmer clothing. You may also want to consider bringing a blanket, a fire starter and first aid kit. If you do venture out on a kayak in the winter, it’s best to stay near the shore in case something happens and you do tip or it gets too cold so you can quickly get to safety. It’s best to venture out with a partner for safety. And, you and your partner should both let someone know you’re going to be out kayaking, where and expected time of trip. This is good advice not just for winter kayaking, but for summer as well. Before going out, it’s best to check the weather and wind speed to make sure there are no storms or high winds in the forecast. If you’re not ready to brave the winter waters or it just doesn’t appeal to you, don’t worry, spring and summer will be here before you know it!